Use of the library’s computers requires a library card in good standing (less than $25.00 in fines) from Decatur Public Library. Visitors from outside of Decatur may be granted access to the library’s computer resources upon presentation of acceptable identification. Access is limited to adults and minors ages 13-17 with written parental permission. Children 12 and under may access the library’s adult computers only when accompanied at all times by an adult with acceptable identification. Make any attempt to modify or damage library computer equipment or software. Only software owned and installed by the Decatur Public Library may be used on its computers. Downloading or installing anything from the Internet or other software is not permissible. Use the library’s computers for any illegal activity, including violation of copyright or other rights of third parties. Users will be responsible for knowledge of all applicable federal, state, and local laws for which they may be held in violation. Use library computers to view or disseminate material considered inappropriate for a public environment or likely to cause a disturbance, or sexually explicit or suggestive (obscene/pornographic) images. Unacceptable or inappropriate use of the library’s computer resources may result in suspension or revocation of library privileges and expulsion from the library. Includes but is not limited to not staying in the time management system and/or not following the library computer rules. Users will be held financially responsible for any damage to library computer equipment and software. Using computer access obtained at Decatur Public Library to perpetrate illegal acts will be subject to prosecution by local, state, or federal authorities. The Library assumes no responsibility for the quality, accuracy, or currency of any Internet resource. Patrons should recognize that, in addition to valuable and reliable information, the Internet does contain inaccurate, dated, incomplete and controversial material. Users should exercise good judgment and discretion in the use of Internet information sources. It is the responsibility of the parent or legal guardian to restrict and monitor a minor’s access to information on the Internet. The Library disclaims any liability or responsibility arising from access to or use of information obtained through the Internet. Users are responsible for any commercial transactions made while using the Library’s Internet connection. Patrons should have no expectation of privacy, as all Internet workstations are in view of other patrons and staff. Every effort will be made to maintain a secure environment; however Internet transactions, communications and activities are potentially vulnerable to unauthorized access. Decatur Public Library will not release information on the use of specific Internet resources by members of the public except as required by law or necessary for the proper operation for the Library. It is the policy of the Library to provide an atmosphere conducive to the appropriate use of Library services and facilities. The rules of conduct outlined in the Library Use Guidelines apply to all computer users. Patrons shall not use Library computer resources in a way that disturbs or interferes with other patrons, employees or operations of the Library. 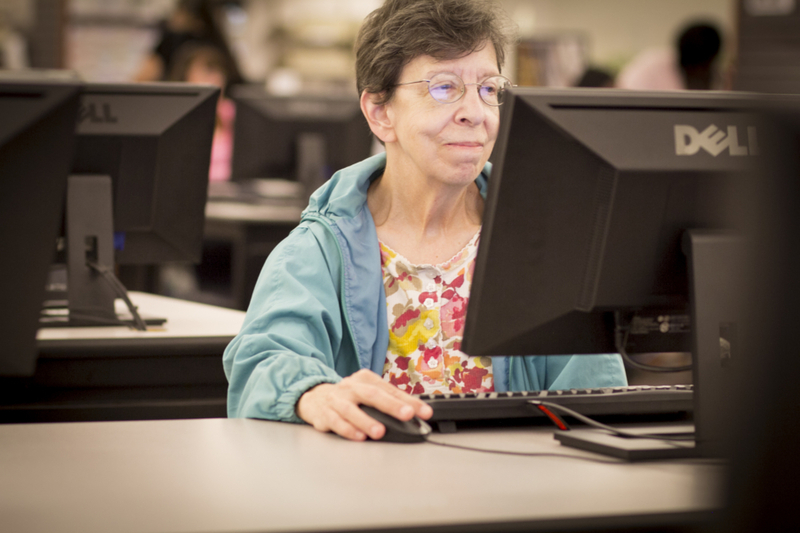 The Decatur Public Library staff will develop such rules and procedures as are necessary to insure the fair and reasonable use of Internet resources. The Library reserves the right to terminate an Internet session at any time. The Library reserves the right to modify this policy at any time.